Yesterday, I waited for four hours for the Salvation Army truck to arrive at the home of my best friend’s late aunt. My friend was busy making arrangements to move her father and his things to her home in L.A. While my friend took her father for a round of good bye visits to friends and relatives, I sat in the house of a woman I’d never met. I’d been to the house once before to help my friend sort through her aunt’s things. Auntie M wasn’t exactly a hoarder, but the woman never threw anything away. We found WWII ration cards, dozens of boxes of Yardley soaps, old perfume bottles and clothes that were so old they were back in style. Auntie M was a reader. There were books in every room—farmer’s almanacs from the sixties, atlases and lots of mysteries penned by English authors. She was religious. I found more than a dozen different versions of the bible and boxes of devotional books. 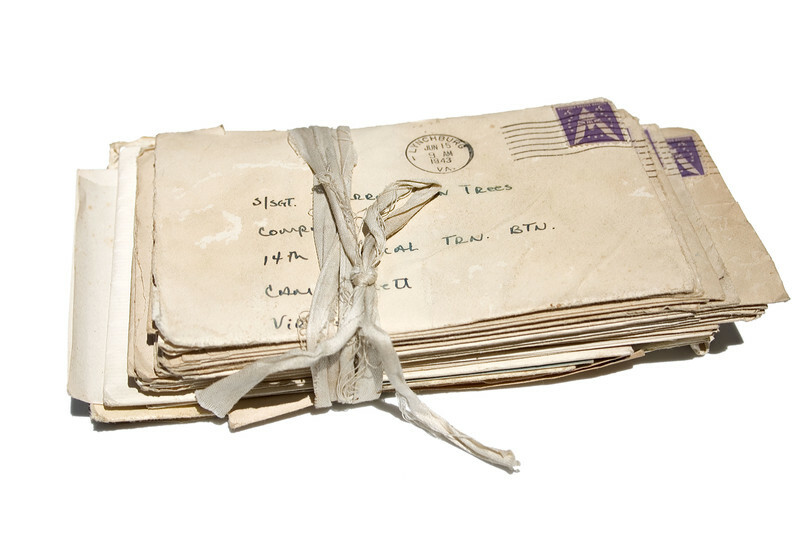 She wrote letters and kept every single letter she’d ever received. From the number of vocabulary books and lists of words written in careful penmanship on spiral tablets, Auntie M was also intent on improving her vocabulary. She also devoted herself to her community and church as evidenced by the faded certificates of appreciation and homemade cards from children in the neighborhood. 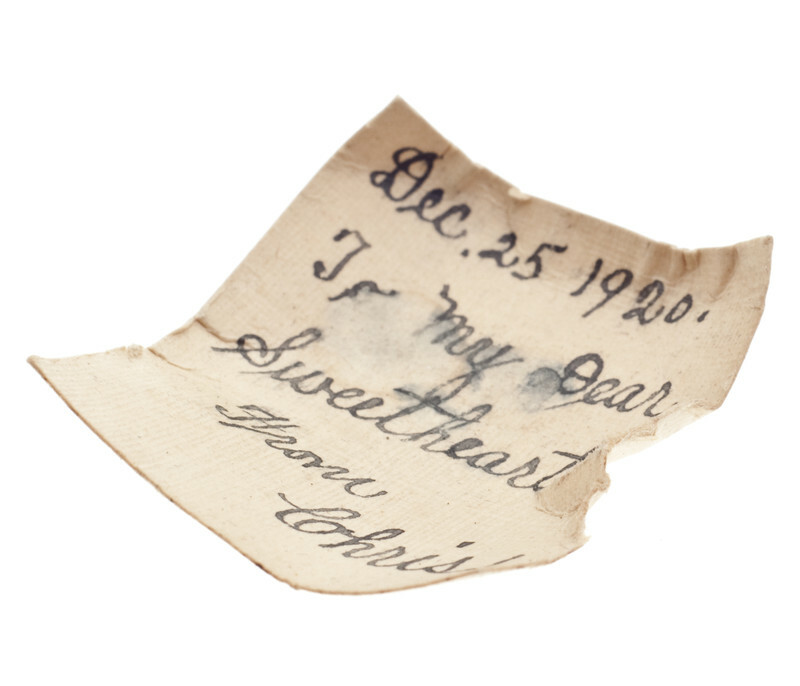 The unexpected treasure we found were the love notes Auntie M and her husband had written to each other. They were everywhere—tucked in books, in drawers, between the piano sheet music. We felt like intruders reading those notes. They were short and incredibly sweet. Some were cryptic, perhaps a private joke written in their own secret code. And they all made us cry. The house was small, badly in need of renovation. Auntie M didn’t have expensive jewelry, sterling silver or collectible artwork. No big screen television, computer or even a microwave. By today’s standards, this couple lived a spartan life. But they were devoted to each other. I think they were happy. My friend and I spent the entire day going through her aunt’s things. By the end of the day, I felt like I knew Auntie M.
It’s Back-to-School week on the RU campus! Wear something comfy, slip on your flip-flops and attend our class lectures. We’ve got an all-star line-up of Visiting Professors, so pay attention! Debra Webb starts off the week with a discussion on getting published and staying published. CJ Lyons shares her method of writing bad-to-the bone guys we can’t resist. On Wednesday, Allison Brennan talks plotting, or rather how not to plot. Think you can gloss over those tiny details? Not! Laura Griffin tells us why. And finally, on Friday, Professor Emeritus Laurie Schnebly Campbell focuses on male perfection and the whys and why nots of hero fabuliciousness. Great prize giveaways and no grading curve! Mon, 8/15 – As an unpublished author, your primary goal is to get published. Similarly, as a published author, your primary goal is to stay published. Getting that contract(s) and seeing your story in print is only the first step of many. Author Debra Webb gives us her tips on staying in the game. Tues, 8/16 – Want your bad guy to be so bad, he’s irresistible to your audience? Check out these three techniques award-winning, bestselling thriller author CJ Lyons. Wed, 8/17 – Author Allison Brennan’s at the podium to present her “No Plotters Allowed” workshop. Thurs, 8/18 – “The Devil is in the Details” You only get one chance to make a first impression on your reader. New York Times bestselling author Laura Griffin talks about how a little research can help you nail important details and pull your reader into your story. Fri, 8/19 – “How Fabulous Is TOO Fabulous” for a romantic hero? Or a real-life hero? Laurie Schnebly Campbell talks about where to draw that fine line between delicious fantasy and crashing implausibility. Find out how, and win her book! All Romance University lectures are generously provided by our Visiting Professors. RU is a tuition-free zone! Jennifer Tanner, Adrienne Giordano, Tracey Devlyn, Becke Martin Davis, Kelsey Browning, Carrie Spencer and Robin Covington.